1. 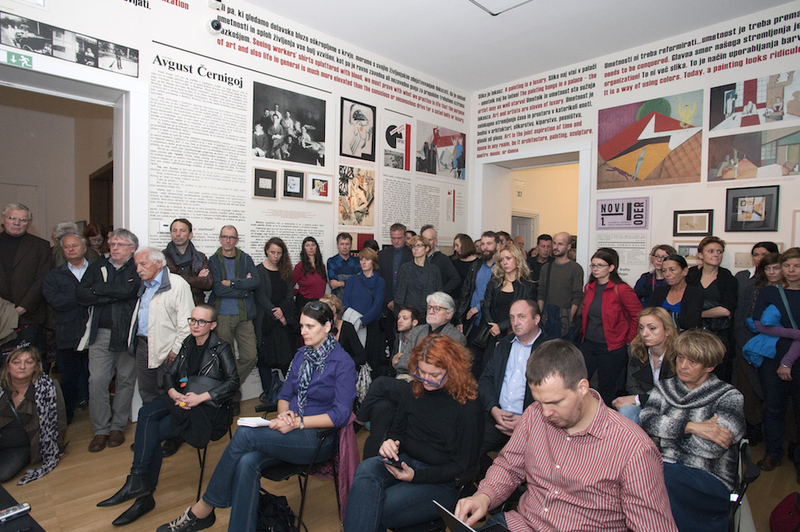 Because the exhibition spaces of Moderna galerija, the country’s national institution of modern and contemporary art, are intended for public dialogue and initiatives, which sometimes include also protests directly or indirectly related to issues related to contemporary art. 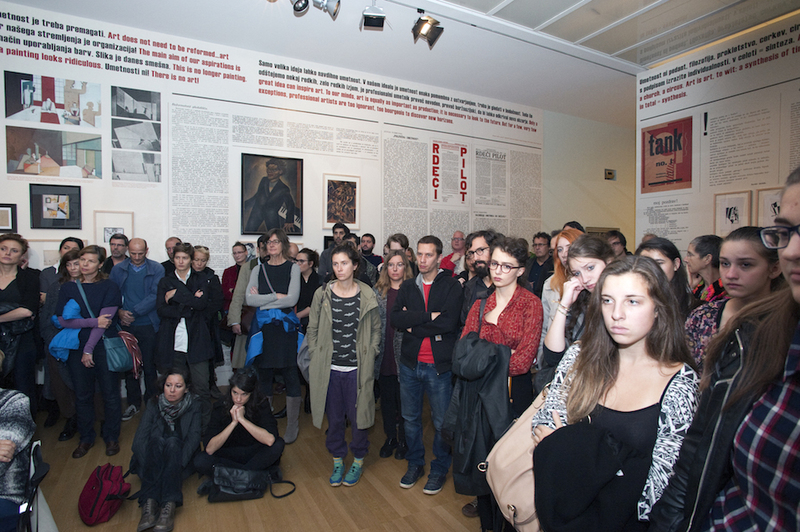 Artists’ protest actions must be understood in the context of their work. The Reconstruction of the 1927 Trieste Constructivist Space was conceived for Moderna galerija by Miha Turšič and Dragan Živadinov. It was on their initiative to include this momentous work of art, which can be seen as a prototype of present-day installations, in our permanent collection, and consequently, in the narrative of the national history of art. In this way they crucially contributed to historicizing the previously marginalized historical avant-gardes, and at the same time called attention to the need to contextualize their own work in local traditions. Only by knowing the levitating constructions from the Trieste Space is it possible to fully understand the present-day KSEVT – Cultural Center of European Space Technologies in Vitanje. 2. Because KSEVT in Vitanje is important by its very existence for contemporary art in Slovenia, and furthermore plays a pioneering role in exploring the culturalization of space internationally. If KSEVT’s highly important work were to come to an end, this would represent an irreplaceable loss for the Slovene and broader international space. After we all came to feel that Turšič, Zupančič and Živadinov succeeded in overturning the myth of the tragic Slovene artist with the KSEVT project, the myth seems to be back in force, with a vengeance. 3. Because the protest concerns also the general state of affairs and the status of culture in Slovene society, which is apparent in the financial undernourishment of cultural institutions, independent producers, and artists. The status of culture and the significance it has for the state are, after all, apparent also in the national budget proposals for 2016 and 2017: while the overall budget will grow, the culture budget is being reduced. 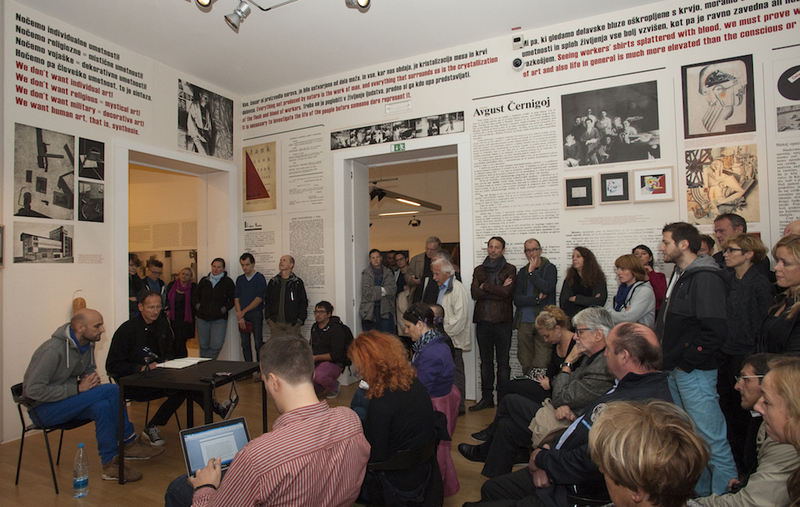 Also Moderna galerija and its two museums are victims of consecutive funding cuts over several years. Meanwhile, the budget for repressive sectors is increasing! This is very illustrative of the vision of the development of Slovene society. This slow dying by degrees leaves behind it no political power nor will to change the country’s cultural policy. 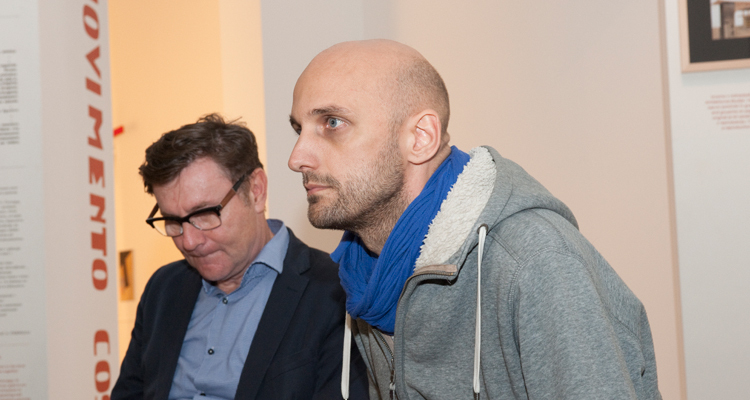 Moderna galerija wishes to see Miha Turšič’s protest end with constructive and concrete solutions for KSEVT and for the broader art and culture in Slovenia as soon as possible. 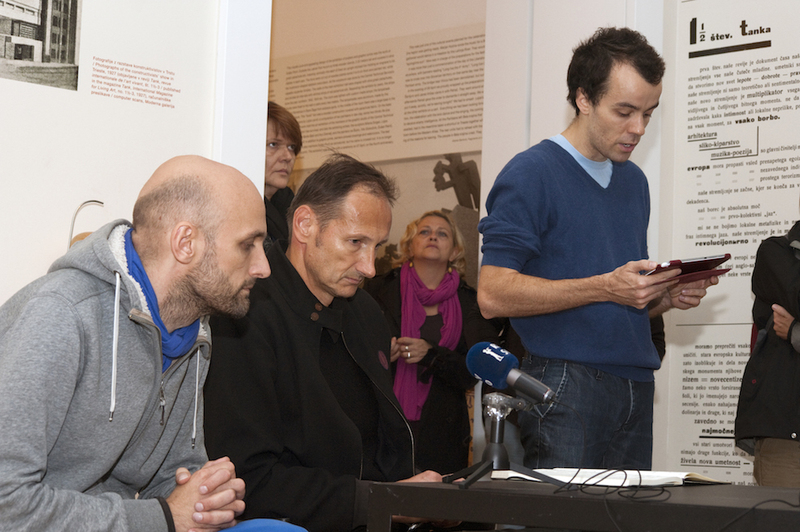 Photos from press conference of Miha Turšič hunger strike on 9 October 2015 at 12 a.m. at Museum of Modern Art / Moderna galerija.